The Vermona Kick Lancet is a compact, analog kick drum generator, including a versatile sound engine and 16 controls in total. The comprehensive sound engine at the heart of the Kick Lancet, gives you the ability to control every aspect of your kick drum sounds. It also makes it easy to merge your kick into your tracks. The sine and square wave can be blended together, with 2 independent envelope generators with a decay/release phase which can be used to modulate the oscillator’s frequency as well as the VCA. The Kick Lancet Drum Machine also includes MIDI connectivity, including 3 different trigger inputs for linking to external equipment. 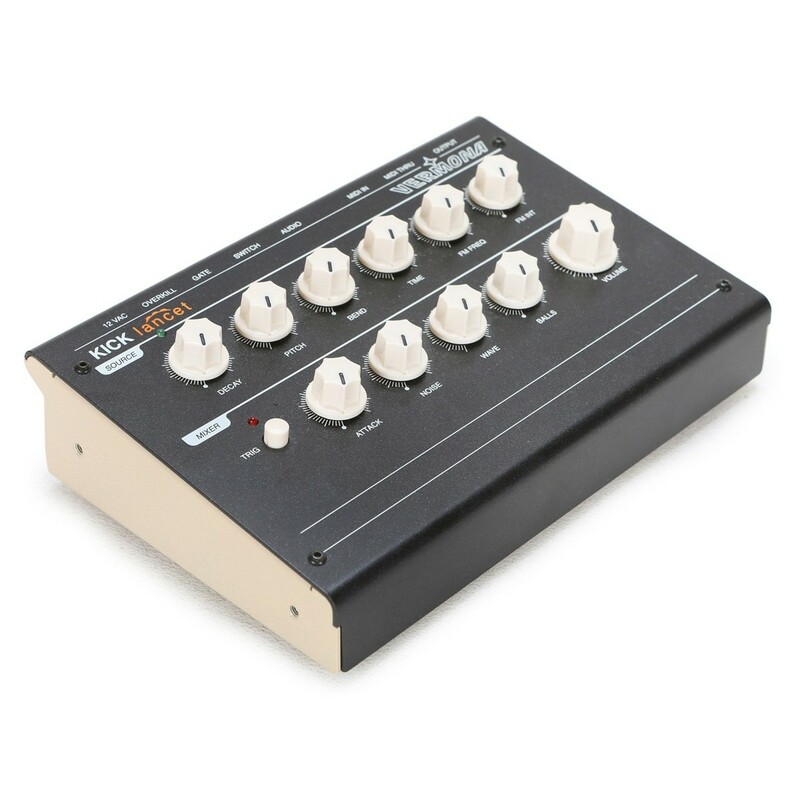 The Vermona Kick Lancet is a highly versatile analog kick drum generator and drum machine. At the heart of the Kick Lancet is the comprehensive sound engine that gives you optimal control over every aspect of your sound. The analog circuitry ensures you capture the punchy low end for a warm and gritty sound. The analog oscillator includes both sine and square waves, which can be blended together for optimal versatility. Two independent envelope generators are also included, giving you the ability to modulate the oscillators frequency as well as the VCA. The rich and thick sound is further complemented by the analog circuitry, resulting in a warm yet gritty sound. The Kick Lancet Drum Generator includes a grand total of 16 controls, allowing you to control every aspect of your sound with ease. 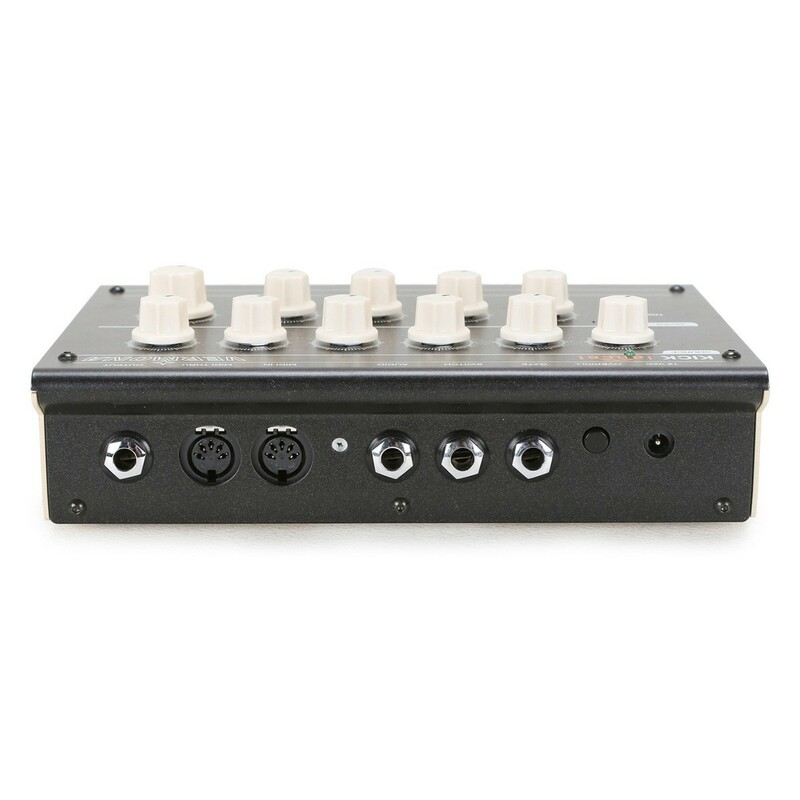 The 16 controls are comprised of the: Decay, Pitch, Bend, Time, FM Freq, FM Int, Attack, Noise, Wave and Balls controls as well as the versatile connectivity. These in-depth controls allow you to craft and mould your sound at every step, providing a broad spectrum of percussive sounds. 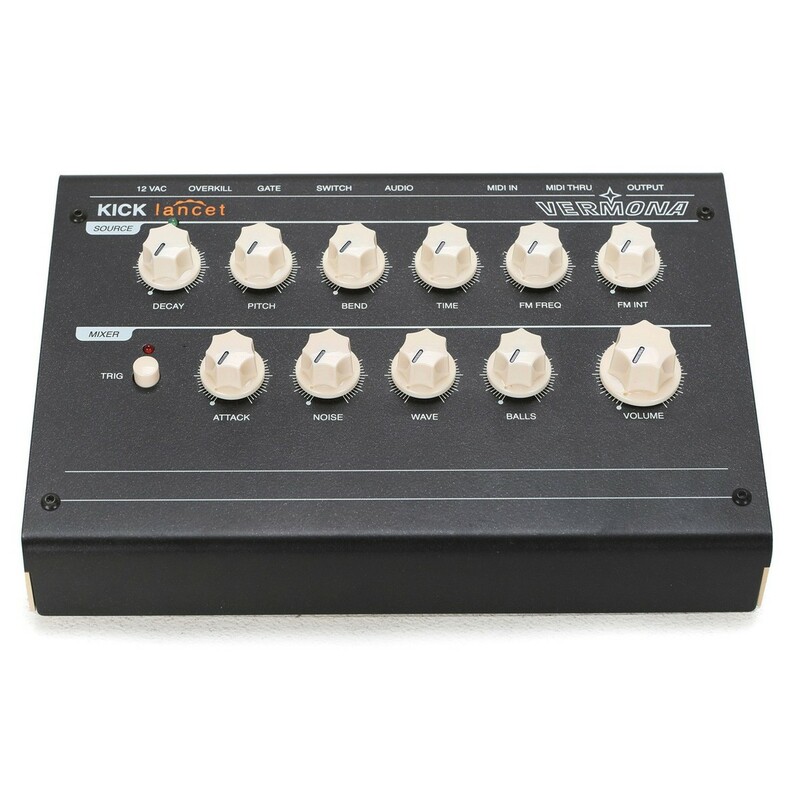 As well as being ideal for live sets, the Kick lancet is also a perfect expansion for any drum computer. The highly compact design makes the Kick Lancet one of the most portable kick drum generators on the market. Its small size makes it ideal for both live and studio applications. The robust design is reminiscent of vintage kick drum machines and uses retro style rotary knobs for all major controls. The Kick Lancet also includes a range of connectivity including MIDI IN/Thru. Additionally an Overkill, Gate, Switch and Audio connection are located on the rear of the unit for connecting to external equipment.